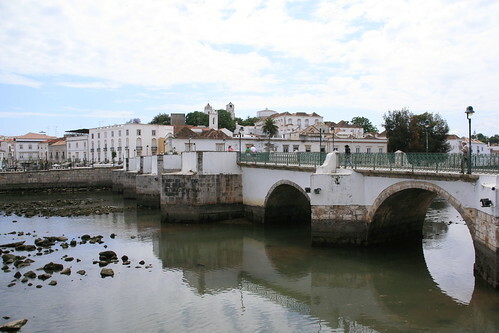 The same day we visited the beautiful town of Tavira, one of the oldest and most picturesque towns in the Algarve. Here we photographed this impressive seven arched “Ponte Romana”, although recent archaeological survey has revealed that the medieval bridge is actually not Roman but originates from a 12th century Moorish bridge. 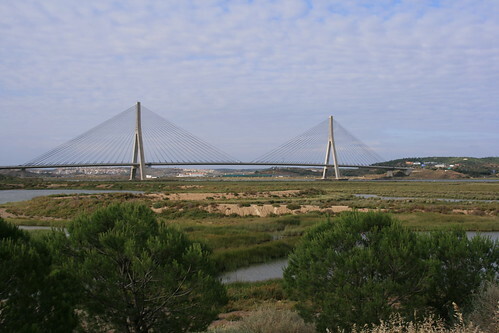 It links the two parts of town across the River Gilão. This entry was posted on Friday, May 22nd, 2009 at 10:14 am CET and is filed under Foto Friday	with tags . You can follow any responses to this entry through the RSS 2.0 feed. You can leave a response, or trackback from your own site.